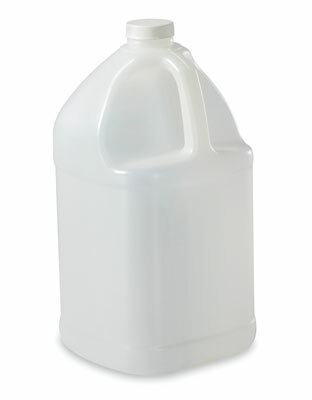 High density polyethylene jug is ideal for storing liquids or powders. 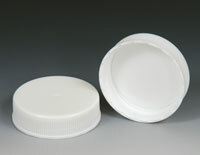 White, fine-ribbed cap is included. 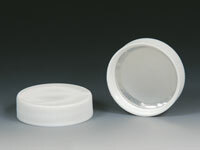 Jugs and caps meet FDA specifications. Tamper-evident caps also available. Replacement caps sold separately, Item Numbers 358-6-07W and 358-6-06W. Can be used with hand pump, Item Number 358-6-18.